mAh per display square in. 347mAh/sqrin. This model (AKA Motorola Moto E Gen 5) retains the Moto E5's underwhelming 720p definition, despite extending its screen space to a full 6 inches, and it is powered by a premium-class (capacity-wise) 5000mAh battery that's accompanied by a 10W rapid charger. It also oddly sticks to its mother model's 1.4GHz quad-core processor, even if its generous battery could have fueled more processing power. Also known as: Motorola E5 Plus, Motorola Moto E Gen 5. Pros and Cons Review Though marred by cons like its lack of NFC support and a 5-megapixel-only selfie cam, the Moto E5 Plus still makes for a solid mid-range option, with pros like a 5000mAh battery and a large 6-inch display leading the way. We unpack its specs in this technical evaluation. 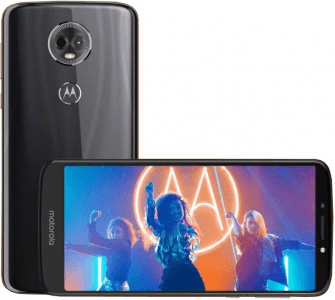 (more) Motorola phones 2019 View all the new Motorola phones.